Our church is growing in size but more exciting is the spiritual growth. Sabet has raised up two pastors to help him with teaching and administration. With several church plants in the villages his team are addressing some of the social and cultural issues these churches are facing. They started with a marriage seminar and went deep into God’s Word and what it says about marriage. Polygamy is legal and widely accepted even among church members. Sabet shared from Genesis 2:21-24 and how God values men and women equally and His intention is for them to become one body. Weeks later we started hearing testimonies from the churches of how people are making changes in their lives. One man had cows ready and was about to pay the dowry for his second wife. After the seminar he realized this was not God’s will for him and decided to use the cows to help the church instead. Another lady had carried the burden for years that her last born child was not from her husband. After the teaching she was so convicted, and convinced God was speaking only to her! She couldn’t sleep so the next day she confessed to the church pastor and her husband with total brokenness and now they are working on reconciliation. We are praising Jesus for the awakening among the people here. Football (soccer) is massive in Africa. Every male from young to old knows how to play and has their favorite teams and players. In keeping with the excitement surrounding the kick-off of the FIFA World Cup, our church organized a special sports outreach for the young men and women in our church. They invited their friends and it was an opportunity to have fun and fellowship together. 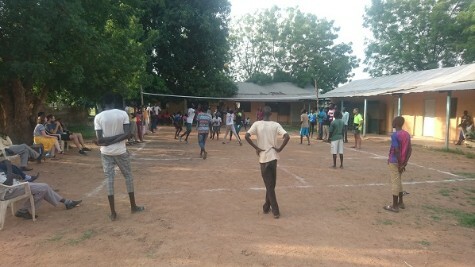 We had volleyball and table tennis tournaments. 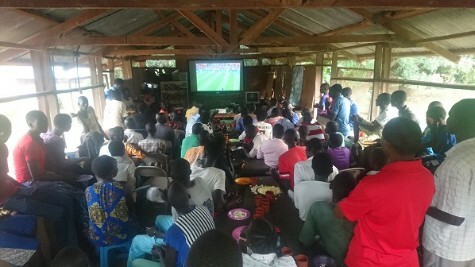 We arranged to have the opening game on-screen through satellite as the local people don’t have electricity in their homes and have limited access to watching TV. After watching the game Sabet gave a short message and the church prayed together. It was a great day! Please keep our church plants in your prayers. Rebekah and Isaac are nurses from New Zealand who have been with us since mid-May. 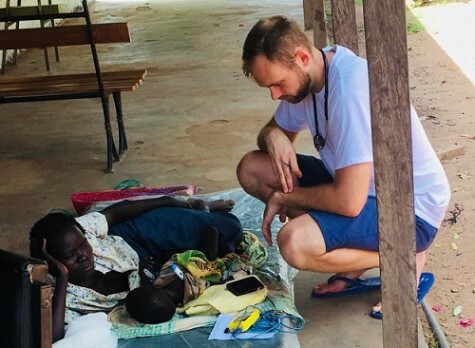 They both feel called to medical missions, have a desire to serve in Africa and were excited to have the opportunity through IDAT to explore this further, spending five months here with us during our crazy busy malaria season. Most of their time is spent in the clinic and inpatient ward. Rebekah has been busy with the organization of the ward and setting up equipment and a resus room for emergency situations. 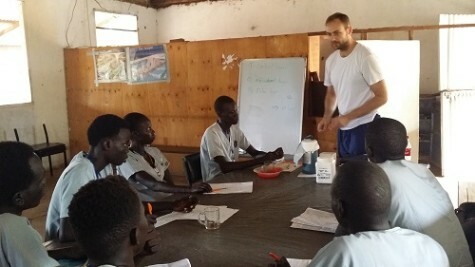 As well as serving in the clinic, Isaac has been helping Sabet with the new believers’ class. And they have both been helping to training the community health workers, recently focusing on the new recruits that just started. They are both inspired by what God is doing in Tonj with IDAT and excited to be a part of it. Pray for their protection and future direction in missions. This is such a WONDERFUL newsletter!! It is so GREAT to hear how GOD is working among the people of Tonj and outlaying villages. With Him, AWESOME things are possible – All things are possible. Thank you as always for being HIS hands and feet. You are always in our hearts and prayers! We are so blessed to know you and be a part – even such a small part of the revival happening in South Sudan! God is working in and through you and your group of volunteers to serve in a real and practical way that brings many to hear God’s love story, then given an invitation to receive His free gift of salvation! It is so awesome that God has blessed you with a glimpse of the fruit that your hard work and sacrifice are bearing for His Kingdom! May He continue to protect each one of you; open up divine appointments to share God’s love; provide you with respite so you are able to serve with joy; and, bless you with the ability to see the impact you are all having in this small part of the world! Lord please multiply the medical supplies and funds that are given and increase awareness of this ministry to bring many others alongside In Deed and Truth Ministries! Great Newsletter! Wonderful Ministry! IDAT, Keep the good job up! Thank U for this update! What a blessing & encouragement U are to do many! We are now in a retirement complex called Calvary Fellowship Homes in Lanc., PA!